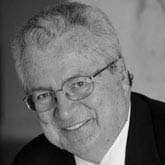 John Hofmeister is a business leader who has participated in the inner workings of multiple industries for over 35 years. He retired as president of Shell Oil Company in 2008 to found and head the nationwide nonprofit group, Citizens for Affordable Energy. This public policy education firm promotes sound energy security solutions for the nation, including a range of affordable energy supplies, efficiency improvements, essential infrastructure, sustainable environmental policies, and public education on energy issues. His global corporate experiences across a wide range of both energy-consuming and energy-producing companies have led him to consider environmental security in the 21st century differently from mainstream practice. In addition he serves on four energy company boards, including Hunting plc, Applus Services, SA, Erin Energy Inc., America's Greener Technologies.